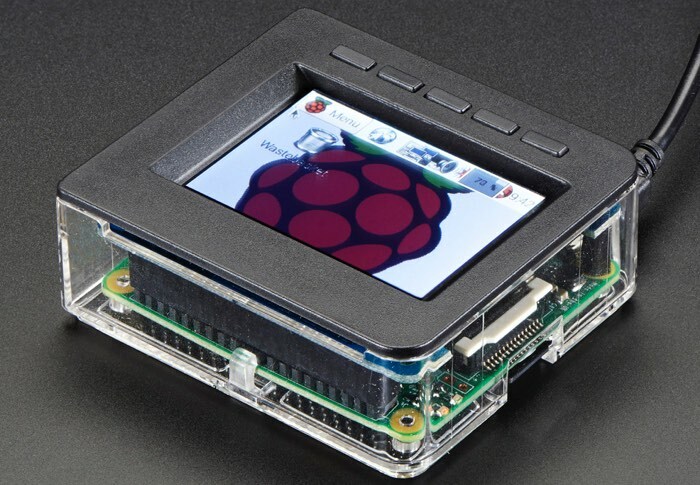 Raspberry Pi enthusiasts that have equipped their mini PCs with either a 2.8 or 2.4 PiTFT Hat, maybe interested to know that custom-designed case faceplates specifically created for each display have now been made available via the Adafruit website and are priced from just $4.95. The new Raspberry Pi Faceplate and Buttons Pack offer an easy way to enclose your mini PC and PiTFT display safely and replaces the normal ‘top’ of an Adafruit Pi case as you can see in the images above and below. Complete your Pi setup with our custom designed faceplate specifically designed to fit your 2.8″ PiTFT and Adafruit Pi B+ / Pi 2 case base! This Faceplate and Buttons Pack is a simple way to enclose your 2.8″ PiTFT and Pi safely and in style. The faceplate replaces the normal ‘top’ of an Adafruit Pi case, with a sleek black bezel and button pads. 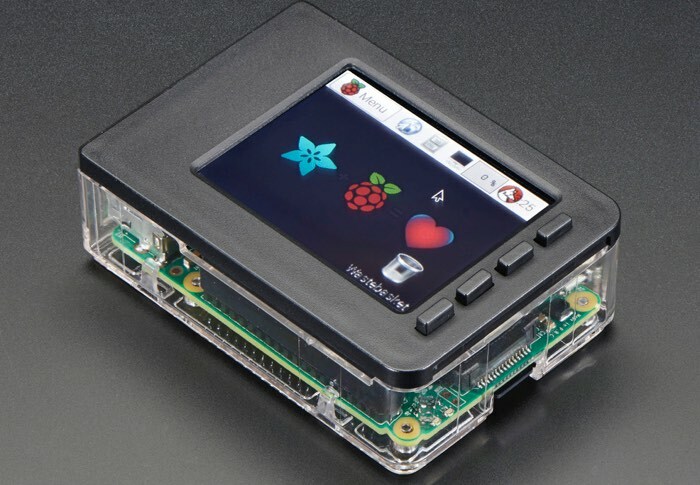 The one packs works with the Raspberry Pi Model B+ / Pi 2, and 2.8″ PiTFT Plus only! It will fit both the Resistive and the Capacitive screens. While the other is designed to specifically to fit your 2.4″ PiTFT HAT and Adafruit Pi A+ case base! To order your new Raspberry Pi display faceplate and buttons jump over to the Adafruit website below.